Spring is here! 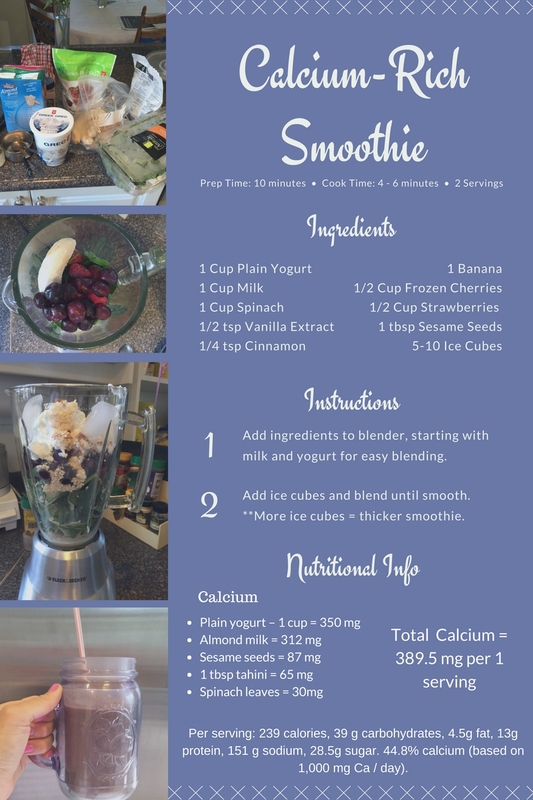 It’s finally starting to feel warmer in Toronto and our team has created an awesome calcium-rich smoothie recipe to help you keep cool. This smoothie provides nearly 400mg of calcium – which is anywhere from 25-40% of your daily intake depending on what has been recommended to you by your doctor.